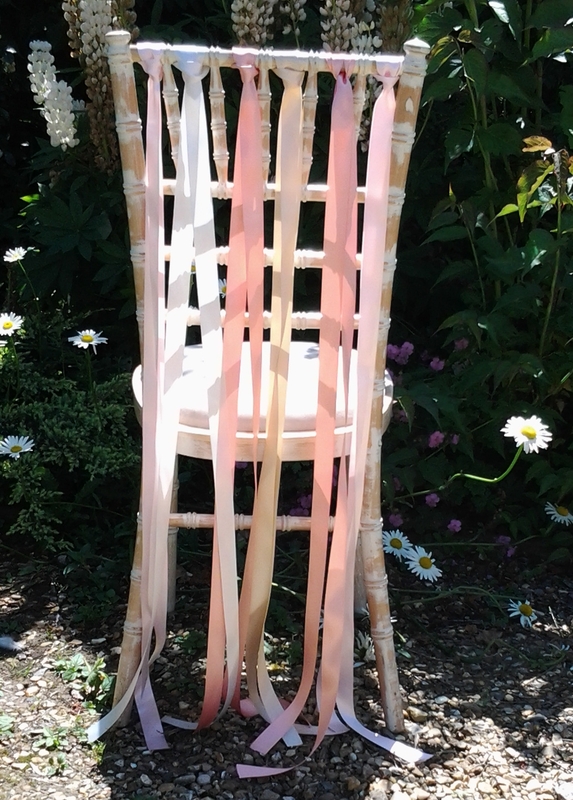 Perhaps you don’t particular want chair covers on your chairs if they are pretty chairs. A lovely way to dress them instead of using sashes is to use lengths of pretty satin ribbon in your chosen colours. Here we used a mix of champagne, peach, pink and ivory for a soft romantic look.